After getting the nth explanation of how I was scaremongering and that Fukushima was well under control and there was no reason to worry and the people will soon be returning to the exclusion zone, I don’t know whether to weep with pity for the ignorance our government and media have reduced people to, or be angry for ignoring obvious facts. Choosing to do neither. Look at the information below. Decide what you like. It isn’t like Japan will listen to you and direct actions… or me. The levels of radioactivity at reactors 2 and 3 have gone too high to allow workers to work there, and future work will have to be carried out by robots. This is not a mindless attention seeker like me talking. This is TEPCO’s statement to the press on camera. http://player.vimeo.com/video/2LPRkjgCVgY To the uninitiated, you have to understand that this is an ongoing leak of radiation that has suddenly *spiked*. In other words, “contained” isn’t even a distant relative yet. In still more words, for the radioactivity to decrease, it has to stop being released first. Or how about this? This is perfectly excellent milk being discarded? Try radioactive milk. You don’t want to have your beauty bath in this. And if you do…? 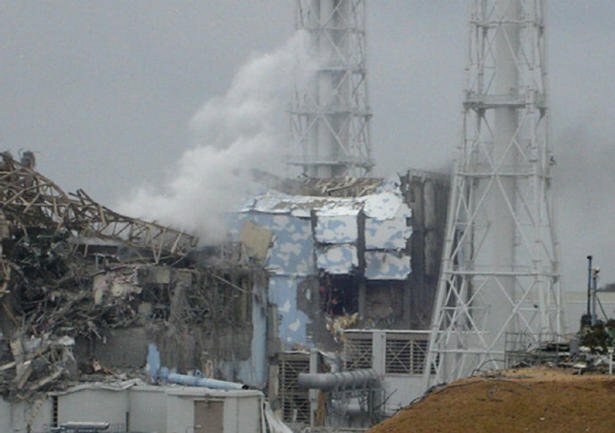 Fukushima has tons of supply going waste. You seriously think farmers throw away all their milk because of scare mongering? On the other hand, instead of me being a scare mongerer, you may want to consider that you’re blindly swallowing propaganda pills that “make it all go away”. Very fuzzy pink of you. If this was unintentional, here is the antidote. Most of the time, the government lacks the resources to monitor radiation in all the foodstuff, and people are eating a lot of contaminated food slipping through the cracks. This includes school children. http://player.vimeo.com/video/Aq4JG9ULVNE While you are at it, look carefully at time 1:42. While this lawyer is describing a concerning situation with forcing children to drink contaminated milk, and children who refuse being treated like traitors, Osamu Fujimura (Chief Cabinet Secretary) on the left, and Yukio Edano (Economy, Trade and Industry Minister) are laughing. What was it you were saying? That the responsible actions of the Japanese Government successfully prevented disaster? Here’s a look at the scene with tested food stuff. Remember, this is outside the exclusion zone you are eager to send people back to. PBS is making some excellent documentaries these days. A radiation fallout forecast also shows minor quantities coming our way. 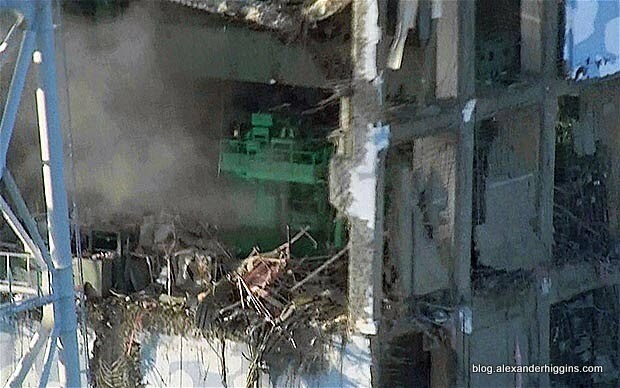 http://player.vimeo.com/video/8Okb4u5zvYE This is what is happening in Fukushima http://player.vimeo.com/video/T_QDihrKkGs Though of course, this is not a problem, since we don’t measure, so if there is no data, then there is no contamination, right? That is how our minds work. So, I leave you with this thought for people who should have been protected by international regulation from a nuclear plant in their armpit. More than one million people live within 30km of Koodankulam. This is not a location Atomic Energy Regulatory Board approves of. There should be less people, or the plant should be elsewhere. But that doesn’t matter to out government, long given to self-delusion. They see no reason why they can’t simply misinform people and get results they want. But many people know why. http://player.vimeo.com/video/du7vDeCpbkw PS: When someone can send you nice videos to watch at the drop of a hat – new ones each time, at least I am not ignorant, no? 1) Heroines who can fight but can’t dance and Heroes who can dance can’t fight. 2) A doctor who doesn’t have spectacles! 3) Heroines who don’t like pink. 4) Heroines who don’t depend on hero to get all work done. You watch too little cinema.